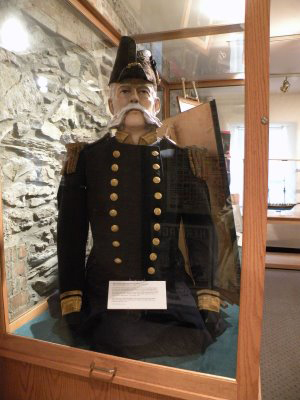 The United States Naval War College Museum is a fascinating place to visit if you're into naval history or history in general. 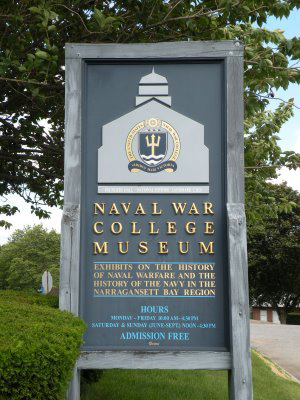 Located on Coasters Harbor Island in beautiful Narragansett Bay, the museum was the original site of the United States Naval War College, which welcomed its first class in 1884. 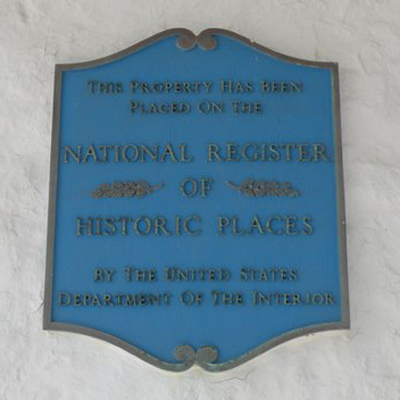 During World War II, 150,000 men were trained at this National Historic Landmark. President Franklin Delano Roosevelt was a huge supporter of the institution and visited in September of 1940. 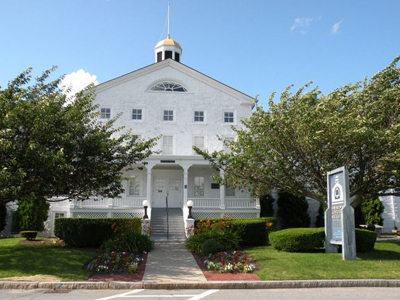 If you come into Newport via Route 138 and the Newport Bridge, you'll see the War College on your left. 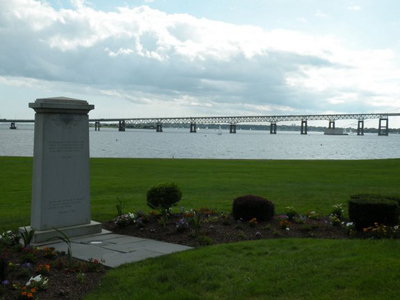 From the grounds here, you'll enjoy a stunning view of both the bridge and Narragansett Bay. 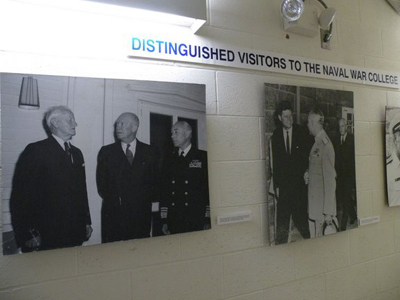 Some other notable Americans have a history at the Navy War College as well. Captain Alfred Thayer Mahan, famous for his strategic naval teachings, was both a lecturer and President at the War College. His most famous work, "The Influence of Seapower Upon History, 1660-1783", was derived from the lectures he delivered here. Theodore Roosevelt delivered the opening address here in 1897 while he was Secretary of the Navy. 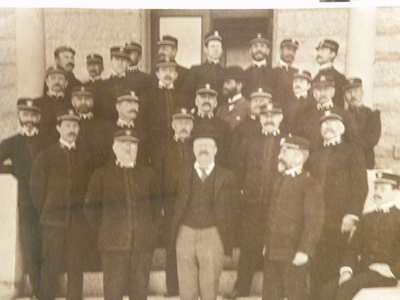 He also visited as President in 1907. President Dwight Eisenhower spent quite a bit of time in Newport. His summer home, Eisenhower House, is on the grounds of Fort Adams on the southwestern tip of Aquidneck Island. Ike also lived on the War College grounds, in the building directly behind the museum, with his wife in 1957. Inside the museum, you'll see many interesting artifacts and exhibits. 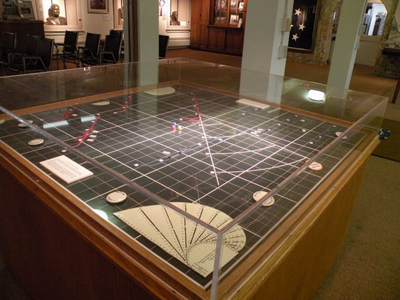 I can picture some of our smartest strategists hovering over this board and plotting the future of our naval superiority. Commodore Oliver Hazard Perry (below), who was born in nearby South Kingstown, became a hero after winning the Battle of Lake Erie against the British in 1813. Below is a memorial to the men and women who served at the U.S. Naval Torpedo Station. The station was located on nearby Goat Island from 1869 to 1951. 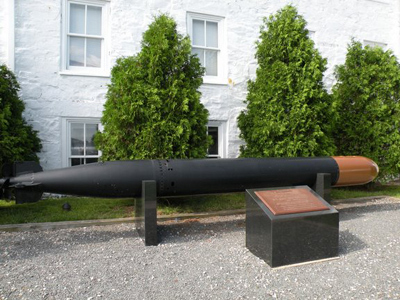 It was the Navy's first experimental activity and the world's first torpedo establishment. The museum is open to the public from 10 am to 4:30 pm, Monday through Friday, year round. It is open from noon to 4:30 pm on weekends during the summer (June through September). 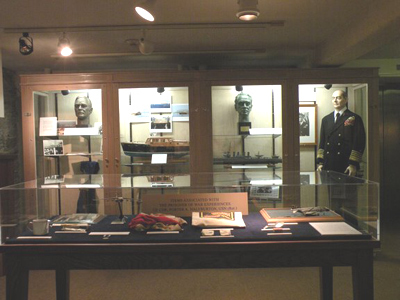 There is also a gift shop, which is operated by the Naval War College Foundation, and funds a portion of the museum's operations. If you're in a personal vehicle, enter through Gate 1 of U.S. Naval Station, Newport. You will need reservations to access the base. Call at least a day ahead for reservations. You also must present photo ID to enter the base. Stop at the Pass Office before going to Gate 1. The museum and gift shop are both handicapped accessible.